Now-a-days film and political personalities are not tolerating anyone showing anything negative against them. They cannot tolerate anyone write negative or show anything negative on screen. If this happens, they drag them to court or issue threats going to any extent pressurizing them to delete these scenes. Fans too hate filmmakers to show their stars in negative light. That was the reason why Congress supporters cannot tolerate anything negative against Jawahar Lal Nehru, Indira Gandhi, Rajiv Gandhi, Sonia Gandhi, BJP against anything on Government programs- PM Modi, TDP against anything on Chandra Babu Naidu, YSRCP against anything on Jagan and YSR and TRS against anything on KCR. However this was not the case when Senior NTR was the Chief Minister. During those days super star Krishna hating his style of functioning came up with many films overtly and covertly. They created sensation during that time. 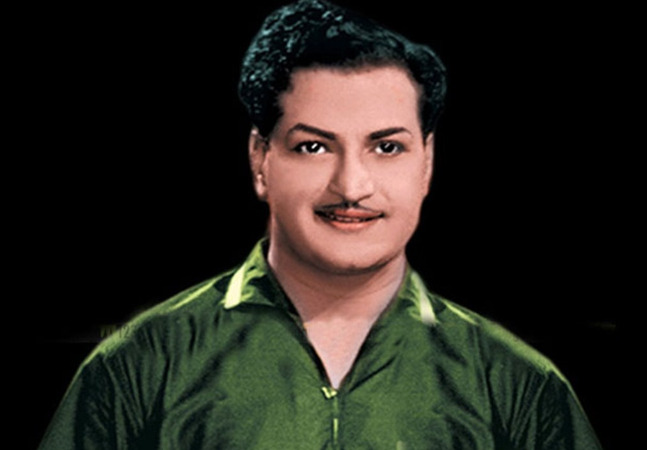 In films like Saahasame Naa Oopiri, Naa Pilupe Prabhanjanam, Gandipeta Rahasyam and Mandaladheesudu, he showed NTR as villain and made sensational attack. During those days in many interviews he alleged that many attacks happened against 30 Yrs Prithvi and Kota Srinivasa Rao who played those roles. In a meeting when NTR came face to face with Krishna's wife Vijaya Nirmala, he asked her with a smile, “Did you complete all the films against me or have balance left behind." The story did not end there. In 1990 B Pradeep Shakti came with a film titled Kaliyuga Vishwamitra with Balachander in a role similar to NTR. Ramya Krishna was the heroine in it. The film turned out to be controversial but it did not do well at the box office. It became the talking point when PC Sriram became the cinematographer. Sr Ntr did not take any severe criticism against him seriously and he would have remained the same with Ram Gopal Varma who is trying to get mileage for Lakshmi's NTR, had he been alive unlike Chandra Babu Naidu and Co.